Nowadays, people don’t search for businesses through actual physical directories, instead the shift of digital marketing has made them go to the internet to search for what they are looking for. Around 80% of all searches around the world are done using Google search engine. That is why it is essential for any business to showcase their information online, and more importantly on Google Business Places. Having a Google Listing will help you connect with different Google users, giving your business more exposure to customers, attracting more visitors to your website, which will increase your leads and conversion rates. Since Google personalizes and localizes search results to customers, having a listing on Google gives your business an immediate edge in your local market. Google Maps also showcases businesses in the area giving customers directions and times of operation of your business. For example, if you are looking for a Digital Marketing Consultant in Maryland, Google would should you a list of Maryland Digital Marketing Consultants closest to you. Creating, managing, and editing your listing is very easy, not to mention free. With Google Places you have a dashboard specifically created for your business. Where you can add, edit, and create different sections tailored to showcase the best your business has to offer. When you create your Google Business listing you give customers the chance to provide feedback about your business. This helps cement the integrity and reliability of your business. Real people, with real experiences leaving real reviews about what they liked or disliked about your company. This gives other potential customers a sense of transparency that your company provides. Drives more traffic and more customers. Even without a website you can still have an online presence. Showcase your business in the way you want. Helps provide insight into traffic statistics. Encourages customers to leave reviews and ratings. Increase your reputation and branding. In this day and age having an online presence is a must! As a business owner, we are always looking for anything to help our business stand out from others. So why not use a simple and cost effective way to ensure that your business is always on the front line of search engines for consumers to find all the time. We understand that creating and maintaining a Google Business Listing may be challenging, which is why we offer a wide range of packages that help you create, add, and manage your listing. As well as, provides other SEO related techniques that help develop your business website. For more information about our Maryland Local SEO Packages visit our page or Contact Us. I am a digital marketing consultant based in Bowie, Maryland (MD). 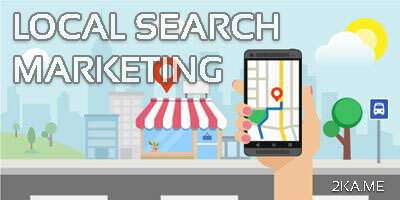 I specialize in Local SEO, Search Engine Optimization, and Pay Per Click Campaigns Management. How to apply Local SEO to your Business. Copyright © Tuka Chalabi 2010 - 2018 | All rights reserved.